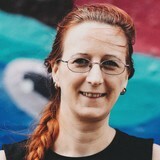 Liz Keogh is a Lean and Agile consultant based in London. She is a well-known blogger and international speaker, a core member of the BDD community and a passionate advocate of the Cynefin framework and its ability to change mindsets. She has a strong technical background with 20 years experience in delivering value and coaching others to deliver, from small start-ups to global enterprises. Most of her work now focuses on Lean, Agile and organizational transformations, and the use of transparency, positive language, well-formed outcomes and safe-to-fail experiments in making change innovative, easy and fun.